Glass windows capable of converting sunlight into electricity at a high efficiency have been developed by scientists at the U.S. Department of Energy's National Renewable Energy Laboratory (NREL). Using a range of advanced materials such as perovskites and single-walled carbon nanotubes, the new technology turns glass from transparent to tinted as the sun’s UV rays heat up the surface. The colour change is driven by methylamine molecules that are reverse absorbed off the surface when heated up, thereby darkening the glass. When the sun is not shining, the glass surface cools back down, and the methylamine molecules re-absorb back onto the window, which then becomes transparent once again. However, what is of most interest is that as the window darkens, it also generates electricity. 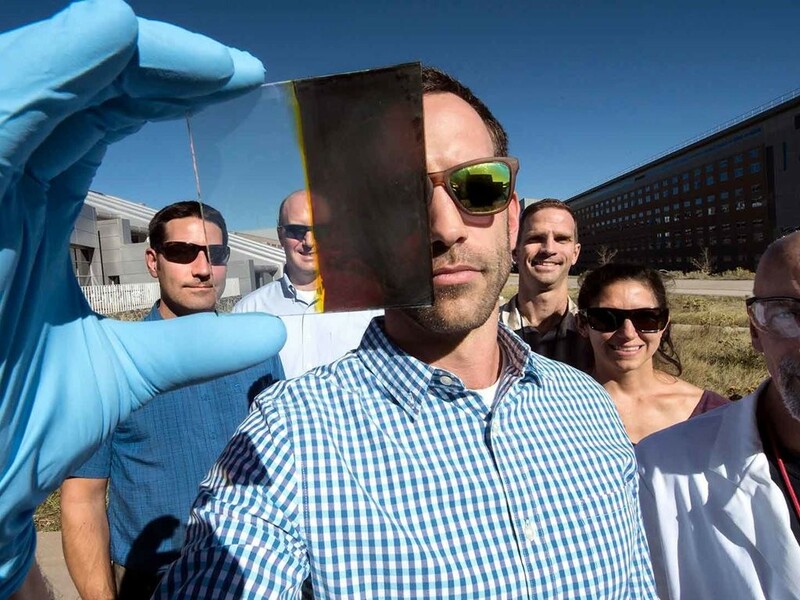 The NREL-developed demonstration device allows an average of 68 percent of light in the visible portion of the solar spectrum to pass through the window when it's in a transparent. When the window darkens, which is in about three minutes, a maximum of three percent of light is allowed through the window. This is a crucial difference between this new technology and existing solar window technologies, which are static, and as such, harness a fraction of the sunlight needed for power uses without allowing much visible light through needed for viewing or the comfort of building occupants. "There is a fundamental trade-off between a good window and a good solar cell," says Lance Wheeler, a scientist at NREL. "This technology bypasses that. We have a good solar cell when there's lots of sunshine and we have a good window when there's not," he says. This technology could theoretically turn every glass window into a power-generating solar cell. Wheeler said the technology could be integrated into vehicles, buildings, and beyond, with the electricity generated being able to charge batteries for use for any number of uses.